PBS looks at the radical environmentalists whose turn to terrorism discredited their quixotic campaign in "If a Tree Falls." The trajectory of Daniel McGowan&apos;s life is a familiar one: A young man from a conventional background finds meaning in a cause greater than himself. Thanks in part to overreaction by the authorities, he gradually becomes radicalized, dedicating himself to violent resistance — a course of action that grabs attention but ultimately backfires on him and his movement. None of the above. McGowan was one of the key figures in the eco-terrorism of the 1990s, a man who used arson as a weapon in the fight to stop loggers and developers from encroaching on the natural world. McGowan&apos;s story is at the center of Marshall Curry&apos;s thoughtful, even-handed and cleverly titled documentary film If a Tree Falls. Airing Sept. 13 on PBS as part of the P.O.V. series, it tells the nearly forgotten story of the Earth Liberation Front, a loose alliance of radical environmental activists who used gasoline and matches to slow man&apos;s encroachment on the wilderness. Their efforts — which included burning down lumber company facilities in Oregon and a wild-horse slaughterhouse in Nevada — were, in the end, largely futile. "The places that they burned were almost always insured and rebuilt bigger than they were before," says Curry, who notes that companies widely seen as villains became sympathetic victims once the fire alarms went off. What&apos;s more, the stigma lingers. When the filmmaker contacted The Wilderness Society to license footage of old-growth forests, the mainstream advocacy group turned him down. "They didn&apos;t want their name associated with the ELF in any way," he says. Curry couldn&apos;t complain about that small setback: This fascinating story basically fell into his lap. One morning in December 2005, four federal agents walked into the Brooklyn, N.Y.-based domestic violence agency run by his wife and arrested McGowan, who was her employee. "She had no idea he had this past," the director says. "He was such an unlikely environmental radical. He grew up in Queens, the son of a New York City cop. He was a business major in college. He had never spent the night outside until he was 22 years old." This article appears in our Sept-Oct 2011 issue under the title "Saving the Earth, One Torched SUV at a Time." 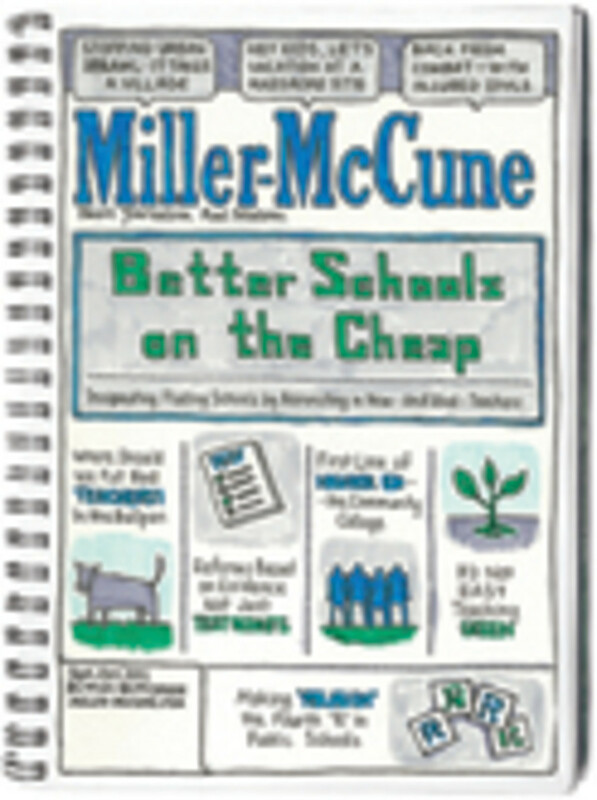 To see more articles from this issue, go to the Sept-Oct 2011 magazine page on Miller-McCune.com. After he was released on bail, Curry — who knew McGowan very slightly from get-togethers such as company picnics — asked permission to follow him around with a camera. McGowan agreed, and other principals in his story — fellow radicals, police officers, prosecutors — gradually followed suit. The resulting film is remarkably fair. McGowan narrates much of his own story, but we also hear a variety of other voices. Often, the images speak for themselves. A vivid example is footage of an incident in Eugene, Ore., that arguably pushed McGowan and others over the edge. In what can only be called a police riot (to use a quaint late-&apos;60s phrase), we see cops liberally using pepper spray to break up a protest by nonviolent activists who are trying to save a plot of forested land from becoming a parking lot. Witnessing this thuggish behavior helps us to connect emotionally with McGowan; we understand his outrage and get why he might conclude that working within the system was no longer viable. Indeed, the film gives us a good sense of how methodical and pragmatic the radical environmentalists were. While they were driven by passion, their actions were based on cost-benefit analysis. They figured that if they could boost the cost of doing business to the point where it exceeded the likely reward, bottom-line oriented companies would pull out. But implementing this simple premise proves surprisingly messy, both physically (we learn that arson isn&apos;t all that easy to pull off) and in terms of targeting. When the ELF badly messes up a major attack — activists torch a fleet of SUVs they mistakenly believed belonged to a company involved in genetic engineering — even those who saw them as heroes begin backing away. These quixotic figures battled the wrong windmills. At that point, the movement begins to splinter into still-more-radical sects, and the film turns into an absorbing crime procedural in which the chief prosecutor describes how he identified the arsonists and brought them to trial. McGowan agreed to plead guilty to arson and conspiracy in 2006; he currently resides in a federal prison in Marion, Ill., and will be eligible for release in June 2013. "In some ways, the movie is a cautionary tale for activists," Curry says. "In another way, it&apos;s a cautionary tale for the government. It could help [public officials] think about what reactions radicalize people rather than bringing them into a democratic conversation." In any political struggle, words are weapons, and two highly charged ones stand out in If a Tree Falls: "violence" and "terrorist." "According to the law, arson is a violent crime," Curry notes. "But for a lot of people, the term &apos;violent&apos; implies an intention to hurt people. These people don&apos;t even eat meat because they don&apos;t want to harm animals." Nevertheless, they were widely portrayed in the media, and branded by the justice system, as terrorists. That characterization still stings. "I certainly understand Daniel&apos;s feeling that it is inappropriate to consider these people in the same category as al-Qaeda, which intentionally killed thousands of people," Curry says. "But if the essence of terrorism is using fear to get people to do what you want — that was an element of what they were doing." An ineffective element, and one that, even if successful, could only have produced tangential results. Fifteen years later, the primary concern of environmentalists is climate change, which is an outgrowth of our energy-intensive way of life. This reality gives McGowan&apos;s tale a tinge of nostalgia. "When we started making the film, we had ideas about [the wisdom of] these actions, but each new person we met would stretch us in a slightly different direction," Curry says. "Our goal was to reproduce that experience for the audience." By that measure, If a Tree Falls is a brilliant success, evoking a wide range of emotions and provoking viewers to challenge their own assumptions. In the end, it&apos;s not so much about the loss of wilderness as it is the loss of innocence. A PBS documentary follows a group of friends before, during, and after their time in Afghanistan. Review of PBS Documentary "Soldiers of Conscience"
Soldiers of Conscience, a PBS documentary, examines the ethics and emotional cost of killing on the battlefield. An upcoming PBS documentary shows how the International Criminal Court is changing the world's approach to crimes against humanity. The PBS documentary "Me Facing Life: Cyntoia's Story" asks the question: Who is responsible when family and society so fail a promising child that she turns to prostitution and murder in her teens?